In case my last post didn’t resonate with you, I’d like to expand a little bit on the whole idea of creating a plan to achieve a goal. Achieving goals means you have to consistently execute over a period of time. That means you have to put a plan in place that gives you a chance to succeed. When you identify a goal, there are two likely outcomes: you’ll either do it or you won’t. A or B. Heads or Tails. That means you’ll have to wake up and do something that day. And the day after that. And the dat after that. And again and again. If you don’t have a long-term plan, you are basically flipping a coin every single day to see whether you get lucky or not. But eventually, the odds will even out. Over time, they always do. And the Tails will start coming. Your luck will run out, your “system” will collapse, and you’ll find yourself stuck. What you need to do is tilt the odds in your favor. 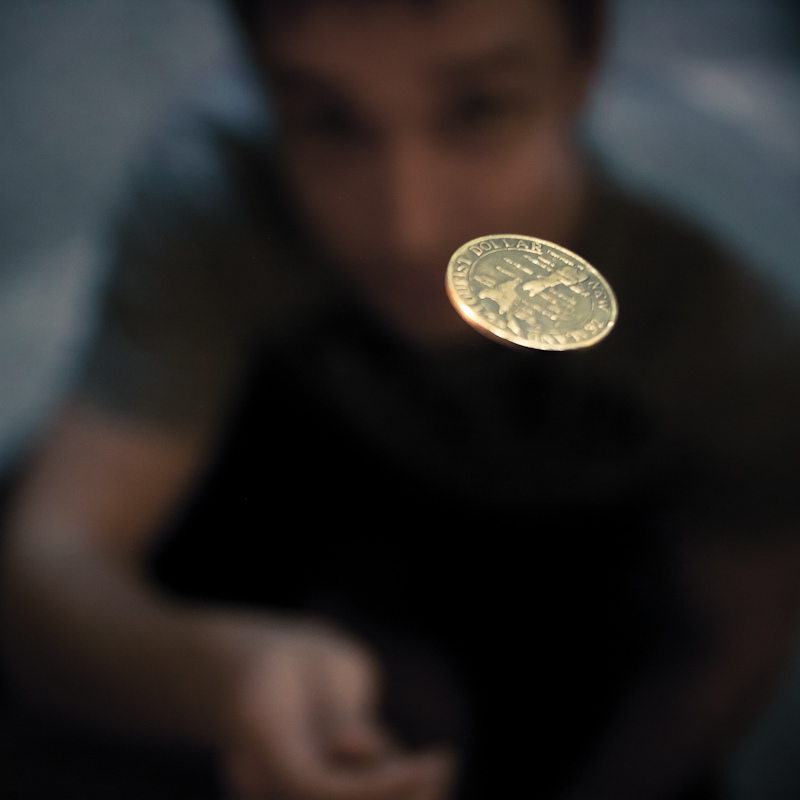 You need to take that coin and you need to scuff it, bend it, twist it, hammer it, and tweak it until the odds are stacked in your favor. Forget 50-50, you want 90-10 odds. Then all you have to do is pick it up and flip it all the live long day. THAT is what having a long-term plan or “system” is all about. It’s about thinking ahead and making sure that you aren’t going about your goal at random. I know that making this all sound as random as a coin flip sounds unfair—it doesn’t take motivation, passion, and “grit” into account. But all of that is irrelevant if you don’t have a long-term plan. And grit/determination is great, but you can’t rely on it every single day. Or at least you shouldn’t…in my opinion. Sure, you might still succeed, but it might take you twice (or thrice) as long as it otherwise would’ve. And what’s the fun in that?